Prior to meeting Bernie, the CEO of Community Awareness of Drugs, I reviewed the site from a developer perspective – determining the plugins in use and their versions. I found a lot of spam comments, spam inside pages and posts, sample posts and pages and theme sample content. When I met Bernie we went through the main pages on the web site to talk about what they wanted from them. I mentioned the spam and sample content (my first step was to delete all of this). Bernie wanted to highlight their main service – Family Focus courses. 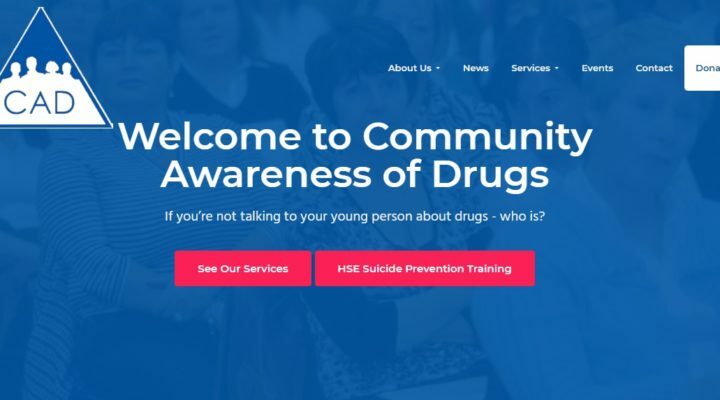 This is a six session programme that promotes the role of the parent in educating their young people about the risks associated with substance use, in an effort to reduce the demand for drugs. The Family Focus programme is run at venues throughout Dublin. A new post is created for each one, listing the venue and dates. These posts were being added to the ‘Family Focus‘ category. When the programme run was finished they were to be moved to the ‘Past‘ but this change rarely happened. I simplified this by automatically ordering the programmes into Past, Ongoing and Forthcoming. When a programme post is created the start and end dates are entered. This data allows for this sorting. One of the site pages had a list of testimonials from politicians, peers and past attendees of the Family Focus programme. This page was difficult to manage. I used the Strong Testimonials plugin to move the testimonials into their own section. Adding and editing them is similar to managing posts and pages. Furthermore, the plugin allows the use of categories. I made use of this to display testimonials from past participants at the top of the Family Focus page. In the middle of the project Bernie told me that CAD About Drugs would be running three Suicide Prevention Training courses for the HSE. Each course would require its own registration form. Each form included a drop down of course dates. Instead of asking Bernie to edit the drop down within the form I created a settings page that would make it much easier. The registration forms use the Ninja Forms plugin. After a lot of debugging I was able to solve the long standing problem where the course dates were shown in the form but not in the Submissions area of the web site. The forms are reasonable long and the three courses were listed on the same page. To make it much easier to browse I put each course and its application form into a collapsed section. This project was perfect for me – it allowed me do what I do best – simplify the administration of a site while enhancing its features.